These two programs are part of our Mission of "Developing Better People." Courtney Clark our 13-1 Head Coach has been instrumental in working on developing this program and we want to give her a HUGE SHOUT OUT! At NAVC we aim to create an environment where players not only build relationships with their teammates but they start to identify and become passionate about the club as a whole. One way that we build this connected brand is through our NAVC Big/Little program We recognize we are late on rolling on the program this year but figure better to start now then not getting it off the ground this year. "The 1 6-1s and 13-1s had a combined practice last night that was awesome! The 16-1s captains came up with a practice plan that both the 16s and 13s ran through together. My little ones were so excited with the enthusiasm of the 16s team so much so that they asked if we could do that every Monday that we didn't have a tournament. And the 16s reflected that they got a lot out of teaching the game to their littles. It was actually really cool to see the practice come together! It was impressive to see the 13 year olds rise to the occasion and see the 16 year olds really step up and lead. 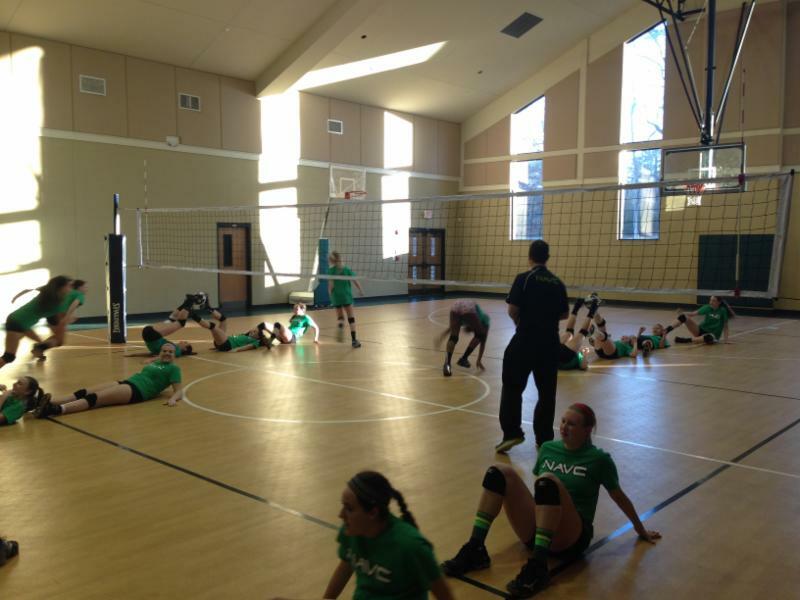 We want NAVC to make an impact that is bigger than just on the volleyball courts! So we are rolling out NAVC SERVES We are asking that all of our players participate in a service project with their little / big team prior to our end of year banquet. 2 million Georgians live in neighborhoods that lack access to affordable fruits, whole grains, and vegetables needed to lead a healthy life. Participants will collect a bag of groceries at Whole Foods Market to carry back to Truly Living Well Center for Urban Agriculture in order to simulate the challenges of accessing healthy foods in part of Atlanta that are considered a food desert. Good opportunity to educate girls on the fact that food deserts exist in Atlanta and provides food to families in need. PLUS bonus benefit of your girls will be walking or running the distance so you can get a little conditioning in too! There would be a cost associated with the effort as you are technically registering / making a payment for the food that will be donated. Pretty self explanatory what you would be doing here working along Atlanta's Beltline! These have been fun projects in the past as its an opportunity to get a little dirty and you always have the ability to come back and see the fruits of your labor. Any Thursday night (5-7 pm) Books for Africa Sorting and packing books in a warehouse for distribution to help educate children in Africa. Organization can take volunteers and Thursday evening. I want to personally thank Courtney Clark who has a passion for this outreach and has done a lot of work to put this together. In 2015-16 season these two programs NAVC Big/Little and NAVC Serves will be introduced at Commitment Night as a foundation of NAVC for years to come.